The article originally appeared in the North Island Gazette October 18, 2006. More than one hundred years ago one man brought vision, compassion, and healing to the BC coast. 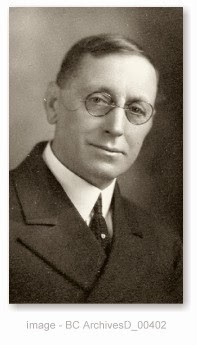 John Antle was born in Harbour Grace, Newfoundland, in 1865. His family were fishermen and sealers, and John spent his early years on and about the coastal waters. When Antle was 17 he left home and taught school was studying to become a clergyman. He studied at Queen's Theological College and in 1892 Antle was ordained into the priesthood with the Church of England. He served the Church of England for five years in Newfoundland before travelling to Washington State. While in Washington Antle petitioned the church to look at establishing a mission that would help the lumbermen of the Puget Sound area, but his request was denied. Antle moved to Vancouver in 1899 and became the first rector of the Fairview Parish. He oversaw the construction of Trinity Church. While Antle was in Vancouver he sponsored a boy's club, and they built a 14 foot sailboat in his back yard called the Laverock. In 1891 the steamship Cassiar arrived in Vancouver with the bodies of four men aboard who had died in industrial accidents, without access to adequate medical treatment. Antle's passion for assisting the people of the rural areas of the coast was rekindled. He applied for and received a $100 grant from the church to look at the issue. With a few supplies, Antle and his nine year old son set out in the Laverock to explore the coast. They travelled to Alert Bay, stopping at various homesteads and settlements along the coast. Antle compiled a summary of the needs of coastal communities, homesteaders, and transient workers. When he returned, Antle managed to convince the Church of England to invest in a vessel that could be used to provide medical and spiritual assistance to the people of the coast, and the Columbia Coast Missionary Society was born. 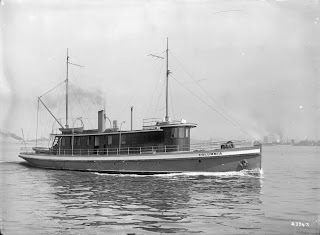 The vessel Columbia was commissioned in 1905, and the 'Missionary Society of the Church of England in Canada' donated $2000 toward the completion of a 65 ft vessel. The Columbia provided emergency room services, medical consultation, served as a dispensary, and included a chapel and a library. Shortly after the Columbia assumed its duties, the society was able to show the depth of need on the BC Coast for basic medical services. The mission was moved to establish a hospital at Rock Bay (just North of Ripple Rock) in 1906. A second hospital was added on Texada Island, at the site of a large copper mine. In 1909 Antle was a key figure in the establishment of another hospital, St. Micheal's Hospital in Alert Bay. Antle was trained as an anesthetist, and added this to his duties of ship's captain, writer, chaplain, boat cook, and founder/administrator of the Society. The mission played an important role in the lives of early pioneers on the North Island. Both directly, and through the ongoing activities of the mission, Antle saved many lives and nourished the souls of many people who were living a difficult existence. The mission went on to build the Columbia II in 1910 and eventually added another vessel to its fleet, the Rendezvous. The Columbia III plied the waters of coastal BC for the society from 1955 until 1968, when float planes started to replace boats as the most efficient way of responding to medical emergencies. Antle retired in 1936, and at that time the assets of the mission included: three hospitals, five churches, two native missions, and two ships. Antle was persuaded to return briefly to service during WWII, serving in a parish on Mayne Island. In 1948 Antle, who had always retained his passion for sailing, left Vancouver on his sailboat Reverie for a trip to the West Indies. Unfortunately bad weather and health problems caused him to give up his trip in San Francisco. Antle died December 3, 1949. 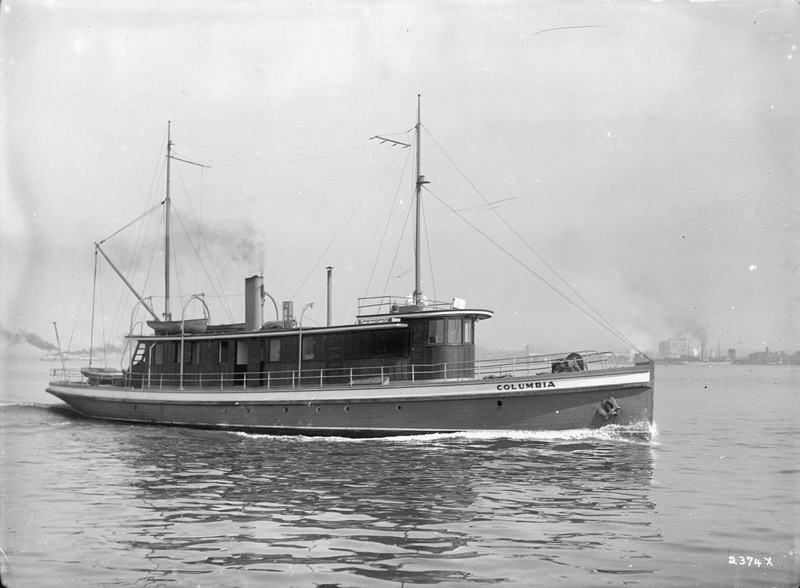 His funeral service was held on-board the Columbia, and he was buried at sea at Manson's Deep, just off of Bowen Island.